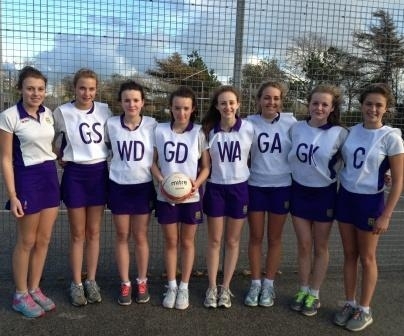 On Saturday 10th November our U14 & U16 Netball teams played in the County round of the National Schools Netball Competition, which was held at Stanley Park, Blackpool. Due to all the rain and hail that had fallen, the courts were very slippery, but despite this our teams played well and there was an excellent team spirit. The standard of all the teams who had entered was very high, and there were some very close matches. Even though the U14 team had only lost one match, unfortunately , they finished third in their group and so did not qualify for the semi-finals. The U16 competition was held as a round robin competition, where all the teams play each other and the results are worked out from the points gained from all their matches. This meant that Westholme had won 5 matches, lost 2 and drawn 1. So we were very surprised and pleased to find that we had come second in the competition and so have qualified to represent Lancashire in the Regional round of this competition! Alice Taylor (captain), Rebecca Lloyd, Natasha Mols, Harriet Rose, Jessica Smith, Rebecca Souter, Grace Taylor and Emily Winter.